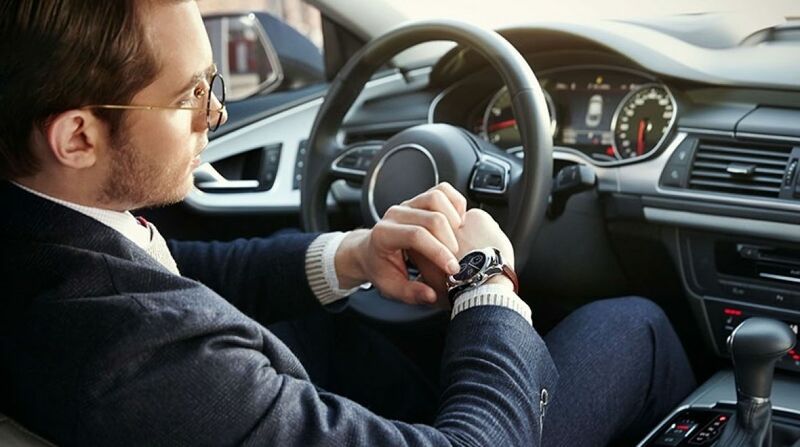 Smartwatches, in their current form, are distracting to drivers. The UK's Transport Research Laboratory has the tests to prove it and some have called for an outright ban on drivers using the Apple Watch. Now police in Australia have said drivers using smartwatches on the road could be fined. The Sydney Morning Herald reports that wearing a smartwatch is fine but making or taking calls and checking messages or alerts will cause problems. There's no specific law in place but police are taking a strict line. A lawsuit has also been filed in the US against Apple, Google, Samsung and (for some reason) Microsoft aiming to get a court order for a $1 billion public education fund on the danger of driving while wearing smartwatches. The lawsuit, filed by lawyer Stephen Joseph, states: "The temptation to check the tiny screen immediately after receiving a notification is virtually irresistible. The road becomes invisible to the driver." That's backed up the TRL's findings which we reported on in March: the average driver response time after checking a smartwatch was 2.52 seconds compared to 1.85 seconds after checking a smartphone and 0.9 seconds after talking to a passenger. It's clear where this is heading. Google Glass was banned for drivers in some states in the US and a similar ban was discussed in the UK. We need a driving mode for the Apple Watch and Android Wear. Ideally we'd have a built in car mode for both of the two major smartwatch operating systems but app developers can and should step in while we're waiting. Notifications (and vibration alerts) should be killed or the smartwatch should automatically switch to a hands free voice mode - for instance, reading out texts on your smartphone. As with hands free kits, the Apple Watch could implement voice control of receiving a call, rather than swiping onscreen. In theory, a smartwatch driving mode could be low power, too, displaying only the watchface. It needs to be quick to activate and easy to integrate with in-car tech. Unless some sort of ban takes effect, it will be up to drivers to use wearable tech safely. But considering some of the features added to Android Wear in the latest update, it should be simple to add a driving mode for both Google's OS and the Apple Watch. We need it sooner rather than later.